As a young girl, I watched the high school teenager across the street as she walked to and from the school bus. The way she walked, held her books in her arm, and swung her hips made me want to be just like her. I can remember very clearly trying to emulate that walk as I went up the hill to my elementary bus stop. I’m quite sure I wasn’t able to acquire the same grace and coolness, but oh, how I tried! If you use Facebook, you know how common it is to see great paintings used and abused to create cute and funny images to share with your friends. Perhaps you have copied an image from Google Images yourself and added clever sayings to it. You would not be alone. How many of us stop to consider the original artist when we do that? An artist’s talent doesn’t develop overnight. It begins when he or she is born. The nurturing given by the child’s parents, grandparents, aunts, uncles and everyone in that child’s life has much to do with the creation of that little being. The child grows and is exposed to the beauty around… teachers, religious leaders, nature, art exhibits, and everything in the world that the child comes into contact with all play a part in the development of that child. Perhaps, as the child grows, s/he longs to BE an artist. S/he works hard to develop even more talent through classes, trial and error, practice and years of focused instruction. Eventually, hopefully, s/he will create a work of art that is cherished and admired by millions. Until one day, a novice comes along and steals it. Not physically, but graphically, an individual with little to no talent takes that image, alters it or recreates it, and makes it their own. A replica, sloppy at best, as nothing can come close to the perfection of the original. 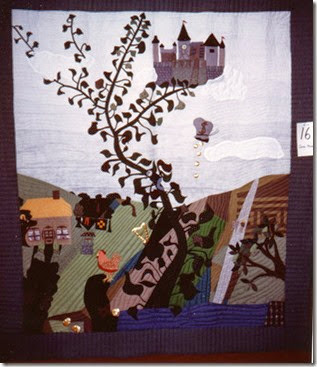 contacts the quilt artist and asks how s/he made the original, and could s/he send the pattern so it can be replicated. Is that right? Of COURSE not! Patterns that have been passed from one quilter to the next for generations – traditional quilt patterns – are expected to be replicated. But not something that is an original. That is not imitation. That is stealing. Not stealing the original item itself, but stealing that which the artist/quilter has worked on for a very long time. Stealing his or her ideas. Colors. Layout. It’s just not right. And yet, it goes on today more than you know. Before you attend your next BIG quilt show, remind yourself of why you are going. Hopefully, you are going to admire the work of other quilters for what it is… an accumulation of who they are as individuals from their birth to now. Please don’t try and take a part of who they are home with you. But be impressed, or not… and then DO go home, DO pick up your needle and thread, and use what YOU have become and create your own masterpiece. You can do it! I see it as plagiarism. I am often inspired by the work of others but I could never copy and that may be one reason I don't use patterns in books. One year, when we were making the auction quilt, one of the members of the group brought in a picture of a quilt she wanted to imitate. 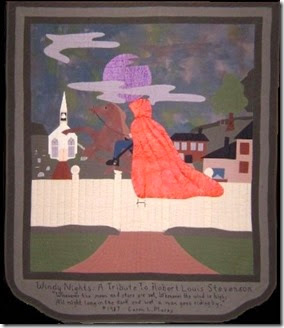 Even if it was not a copy, I put down my foot and said would not proceed without the original quilters permission. Even after she gave it, I changed most of the patterns but still today, that is my least favorite quilt of all we have made over the years. Well reasoned and very thoughtful post, Caron. I am often inspired by another quilter's quilt, but I use that quilt as inspiration and put my own spin on it from there. I would hope that we use different fabrics or quilting designs so our quilts are uniquely our own. And we need to always acknowledge and give credit to those whose quilts inspire us.